Journey Church in Bozeman, Montana has a long standing commitment to reaching fatherless boys by helping Christian men step up as Mentor Fathers. These men are answering our Heavenly Father’s call to matter greatly in the lives of fatherless boys. Using the tools provided by Fathers in the Field allows for consistent and intentional mentoring that changes the lives of Field Buddies forever. 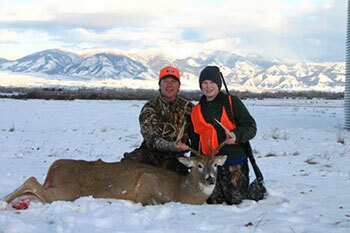 Field Buddy Alumnus Matt serves as a prime example of a life changed forever by a Mentor Father. Matt grew up in Bozeman and attended Journey Church with his mother Lori; he never knew his earthly father. Lori worked hard to provide a loving and stable family life and made it a point to help him find a saving relationship with God through Jesus Christ. Matt came to faith in Christ at an early age and was blessed to learn more about his Heavenly Father through Journey Church and the instruction of his Christian school. Matt’s growing knowledge of our Heavenly Father’s love for us caused him to wonder what an earthly father would be like. This pattern changed his freshman year, the year he met Marc Pierce. Marc’s commitment to Fathers in the Field is extensive. He serves as Church Champion for Journey Church, as a Mentor Father, serves on the Board of Directors for Fathers in the Field and has helped other churches in the Bozeman area begin the ministry. When Marc heard that Matt was fatherless he leaped into action, getting Matt started as a Field Buddy. A Commitment Signing Ceremony is at the start of each year together in which the Mentor Father and Field Buddy commit to each other in writing. Since Marc was willing to put his commitment to Matt in writing, Matt knew this time the promises would be different. 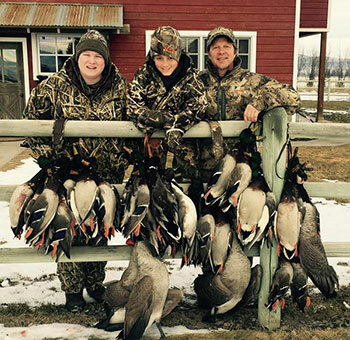 “For the first time I had someone who wasn’t going to ditch me, but a man who was going to put in the time and teach me what it means to be a godly man.” Marc wasn’t just a hunting buddy, but was a man that really cared about Matt. Over the course of their three year commitment Marc imparted Biblical faith, demonstrated fatherhood and walked with Matt in what it meant to forgive his earthly father. At the time, for Matt, the most important part of the mentoring relationship was the time spent together. Fast forward seven years. Matt is now a young man in college and looking to the future through the lens of the past. When he turned twenty-one, Marc came to Matt’s birthday party to tell him he was proud of him. The comment caused Matt to reflect on how amazing his time with Marc truly was. He didn’t see it at the time, but as a man he realized what Marc’s commitment gave to him. “What Marc did was huge. He willingly gave me the bonding time that I needed to have with a Christian man.” Matt experienced the Heavenly Father’s love and forgiveness and was forever changed because Marc honored his commitment. It is Matt’s intention to be a Mentor Father when he finishes college. What about you? Will you answer the call to Defend the Cause of the Fatherless? Contact us today about becoming a Mentor Father, Church Champion, to help us start this life changing ministry in your church or to come along side the ministry financially.